How Do You Transfer A Balance From One Credit Card To Another? A balance transfer, where a credit card holder transfers the outstanding balance amount owing from one credit card to another credit card, is a common process and can be done quickly and easily. How Do You Transfer A Balance When Applying for a New Credit Card? Today, most balance transfers now take place when a customer applies for a new 0% balance transfer credit card. When the customer applies online for a new balance transfer credit card then part of the application form will ask the customer if they would like to make a balance transfer. It is important that you double check that the credit card number is correct as this is the card that the new credit card company will attempt to move the balance from. If your application for the new credit card is successful and all the balance transfer details are correct and the amount is within your credit limit, then the balance transfer will take place within a couple of days after your acceptance. How Do You Transfer A Balance Using Online Servicing? If you have recently applied for a new credit card with a balance transfer offer, but did not complete the balance transfer request at the time of application, then you can often still make a balance transfer request online. Be aware, however, that many 0% introductory balance transfer offers do require you to complete the balance transfer within a certain number of days of applying for the card. 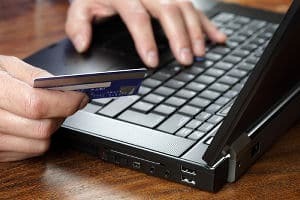 To do this, log in to your credit card companies online account management service and look for the menu option that says “Transfer a Balance” or some such similar wording. You should then see a screen that will ask for the relevant details necessary to complete the balance transfer. These details as in the example above, are the name of the card, the 16 digit card number and the amount of the balance transfer. You can then press the submit button and if all the details are correct, the balance transfer will be processed. How Do You Transfer A Balance By Telephone? You can also request a balance transfer by telephoning the customer services telephone number of your credit card company. When speaking to the customer services representative, state that you would like to transfer a balance. You will then be guided through the rest of the process over the telephone. You will need to know the name of the credit card that you are transferring the balance from i.e. MBNA Platinum, the full 16 digit number from the front of that credit card and also the the amount of the balance that you wish to transfer. Can I Do A Balance Transfer From Someone Else’s Credit Card? « « MasterCard To Visa?